To continue the story of the Reeves – Hearn family of photographers, which was started in Part One http://wp.me/p3wX4F-Ed , and also mentioning their successors, as promised ….. The year 1922 was the last full year Rufus and Augusta Hearn spent as photographers in Macon. The couple is listed in the 1918 Macon city directory, but I do not know whether Augusta stayed there during Rufus’s sojourn to Cuba. The upstairs at 572 1/2 Cherry Street where they were located as of 1921, had been rented by photographer Louis Shapiro in 1918. Read more about Louis Shapiro, about whom I know far too little, here – http://tinyurl.com/khb9flh By early 1923, Rufus and Augusta Hearn were working in Americus again, where they had run a photograph studio from 1911 into 1914. This time they stayed in Americus at least through April 1930, the month the census was taken in that city. Their vacant Macon studio was next occupied in March 1923, by partners Holliman & Utley. The Hearns would have known Pearl Holliman (born about 1877-79) and LeRoy “Roy” Utley (1892-1970), who both worked for a competitor in a local Macon studio. Utley was one of those photographers from Macon who, along with the Hearns, had attended the first annual meeting of the Southeastern Photographers Association (Macon Daily Telegraph, May 29, 1921 p6 sect.2). Roy was a photographer with D. A. Warlick & Son, and Pearl was a retoucher and artist at the same studio. Their partnership did not last long and at the end of September 1923, the Holliman-Utley Studio was succeeded by the Metro Studio. 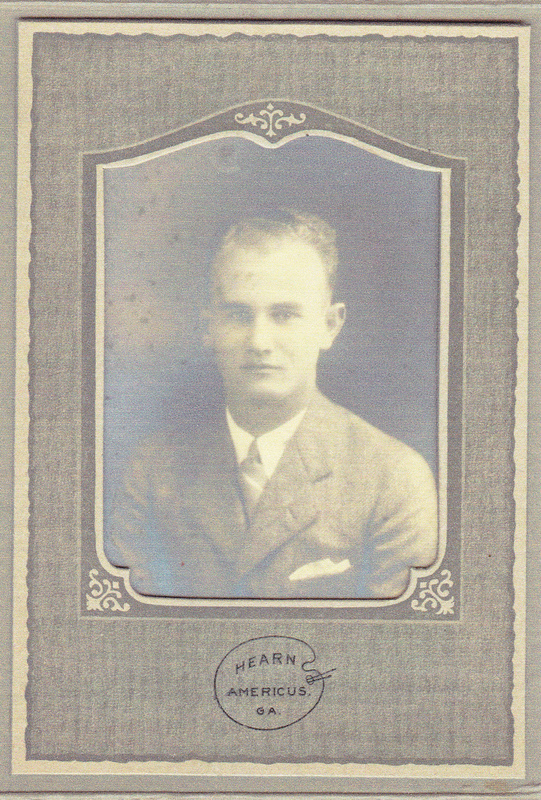 That studio was run by H. (Henry) A. Merker, business manager, and Fred Tronce, artist-photographer, and Pearl Holliman worked for them as a retoucher. The Metro Studio lasted a decade. While they were working in Americus, Rufus Hearn was one of three photographers who testified in the 1927 “Hooks trial” held in Americus, Georgia (“State Ends Case in Hooks Trial, Photographers on Stand,” Macon Telegraph Dec. 14, 1927 p.1 c.7, continued on p.15). Along with R. E. Hearn of Americus, Macon photographers Henry Merkle and V. L. Quay testified regarding how a photograph of fingerprints may have been made. After 1930 Augusta and Rufus Hearn moved to Atlanta, when they were both over sixty. The following year, on January 24, 1931, Walter Rogers Reeves passed away in Atlanta, Georgia but the photography studio he began in 1908 was flourishing. As far as I can determine, Rufus was only listed in the city directory in 1933 as being associated with the Reeves photo studio. He would have been about sixty-eight years old then, so it is understandable he was no longer that active with the studio. 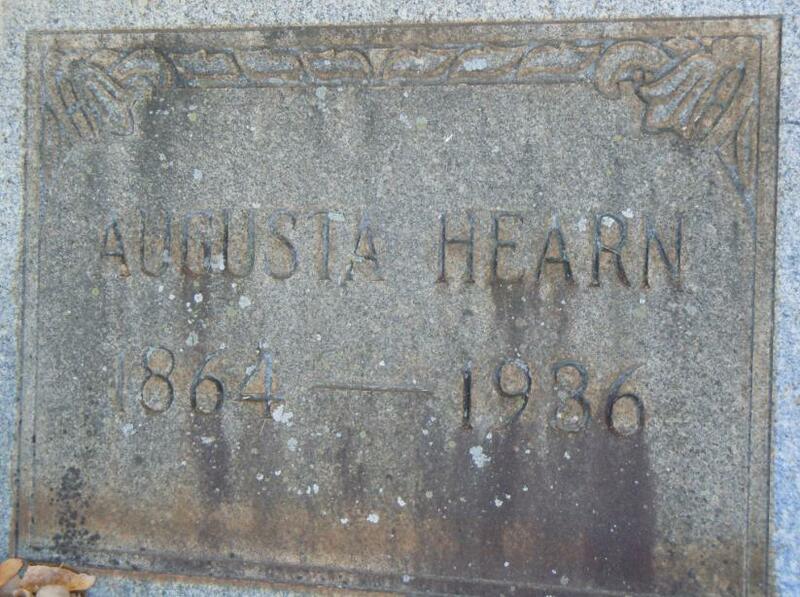 Augusta Reeves Hearn died in March 1936 while in Winchester, Tennessee where the couple still had family and friends, but she is buried in Atlanta’s Crest Lawn Cemetery, with other family members. In September 1936, at the home of Charles Walton and his wife Etta Mae Reeves, Rufus married Augusta’s sister, Beulah, according to Augusta’s wishes. Rufus and Beulah remained in Atlanta and lived above the Reeves Studio for some time. Rufus E. Hearn lived until June 1950, and Beulah until December 1954. They lived full and busy lives, dying at eighty-five and ninety-one years. They are buried next to Augusta at Crest Lawn. In addition to his studio work and his photographic work for the Atlanta newspapers, Charles Walton Reeves was active in professional organizations. He was made president of the Southeastern Photographers Association in 1930, and of the National Photographers Association in 1949. He was also a long-time member of the Camera Craftsmen of America. W.R. and C. W. Reeves moved the Reeves Studio from Whitehall Street, where they were through the 1920s, to their building on the corner of North Avenue and Boulevard. In 1964, C. W. Reeves moved the business a final time, to Ponce de Leon Avenue. In 1982, almost twenty years later, the business C. W. Reeves’s father began seventy-four years earlier, was sold to Robert Connell, who retained the Reeves name. As of that year, C. W. Reeves had been a photographer for over sixty-five years. I interviewed Mr. Connell and his assistant in 1987, for the Directory of Photographic Collections in the Atlanta/Athens Area (GSU, April 1988). C. W. Reeves was still alive, and I had hoped to be able to talk to him, but I never got to. 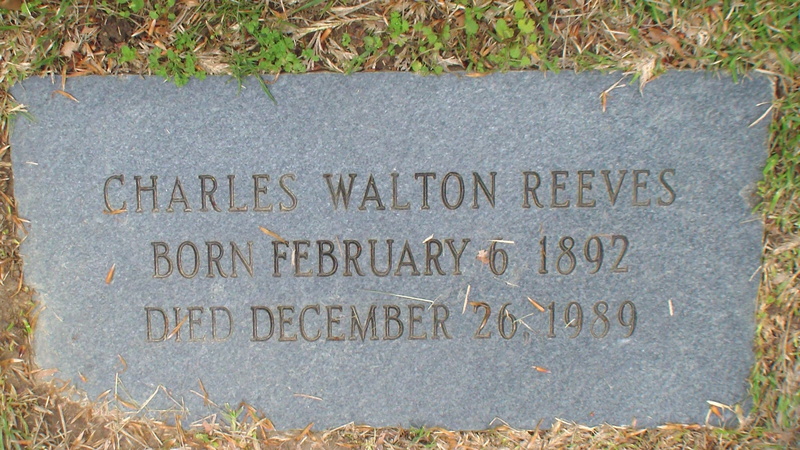 Only two years later, on December 26, 1989, when he was ninety-seven years old, Charles Walton Reeves passed away. There were many other families (two or more members) of photographers in Georgia, and each of those families is an interesting story. In Atlanta were the J.D. Edwards and the William A. Kuhns families, both multi-generational and related to other photographers. In Augusta were the Tanner Brothers, and the father and son both named Robert Williams, who had occasional help from a third generation. In Columbus was the J. W. King family, and Ernst and Kate Jungermann; in Griffin was H. L. Deane and his three sons; the McCollum family located themselves into the cities of Albany, Columbus, and Dawson. In Savannah was J. N. and son M. E. Wilson, who spread the studio his father began into other Georgia cities. There was father and daughter James and Lizzie Lancaster in Rome, and father Charles Scarborough in Sandersville, his daughters, and granddaughter. 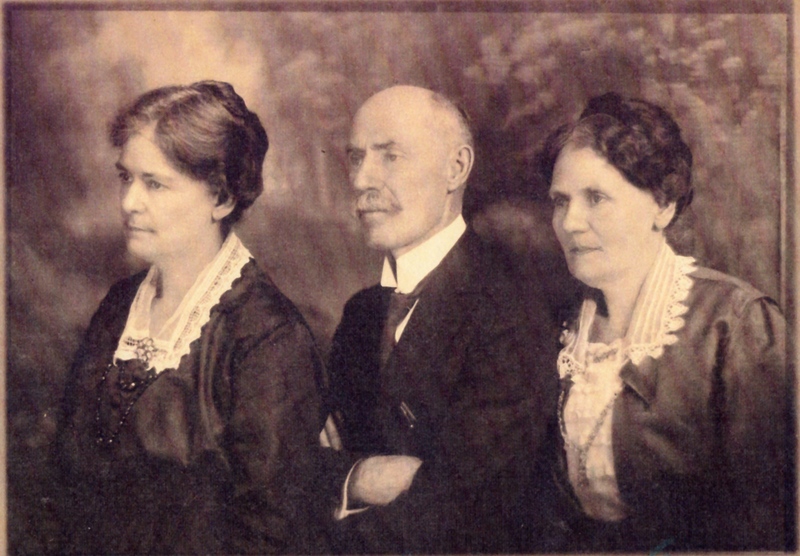 W. L. Ricks in Valdosta employed his sister, his son, and his wife. There were more women in photography, including the Misses Ellison in Milledgeville, and the Misses Mead in Atlanta. The list really does go on and on! My sincere thanks again to the descendants of Charles Walton Reeves for sharing their information and photographs, and for their kindness. Contact me with comments or questions. I am happy to supply sources for anything I have mentioned here. Until next time, happy hunting, and happier gathering. My great-great-uncle, James (Jim) Slemons, was a photographer employed by the Reeves Studio. My mother Doris Baker Wright was one of his grand-nieces. He had no children of his own, but he was very fond of his niece Lizzie Slemons Baker’s children and sometimes took my mother to the studio. He is buried in Crestlawn Cemetery in Atlanta next to the Reeves-Hearn family members. Thanks for reading; yes I have Mr. Slemons in my database and that he is buried there with the Reeves-Hearn family, and I had seen your Find a Grave entry! Do you have an exact birth date for him? That is so interesting he took your mom to the studio. Did she tell you anything about it? I would love to hear about that. What I do not know for sure (or have not looked for) is his exact dates with the Reeves studio(s). I found him as a photographer at another address, but knew he was associated with the Reeves family. James Thaddeus Slemons was born in May of 1864, but I don’t have the exact date. He is in FamilySearch (free sign-in) at https://www.familysearch.org/tree/person/details/LKDW-M6Y. He was born in Tennessee, but by 1870 his parents had moved to Atlanta. I have since found that Great-Uncle Jim had his own studio, but sometimes (often?) did work for the Reeves. I have several pictures of him, but I don’t know how to send them to you. I have already digitized them and will be glad to share them. Hi, I will contact you and give you another address where you can send the images. I have a picture with a number on the front (Reeves 18624-1) and on the back is Reeves Studios, Blvd. at North Ave. Atlanta, GA. I am desperate to find out anything I can about this photograph. There are 6 gentleman in chairs in a front row (with one resembling FDR, but i don’t think it’s him) and 10 men and 1 lady standing in a row behind them. One of the gentlemen in the picture, Dr. Hulett Judson Wyckoff is my grandfather. He was a prominent orthopedic surgeon from Seattle, WA. Can you tell me anything about who these other people are in the picture? The picture has an inscription on it :To Dr. Hulett J. Wyckoff with sincere regards from Basil somebody??? and it looks like it was signed with a fountain pen! Any help at all would be beyond appreciated. Hi- thanks for reading! I can not tell you exactly who the picture is of, but I have some suggestions. Since you know your grandfather is in the photo, and we assume it was taken in Atlanta (and you know the Reeves dates from my two posts), see if you can do a newspaper search on his name or the name of any organization he would have belonged to. It appears to me that an organization he belonged to met in Atlanta and this is when the photo was taken. Also try a search in Google, newspapers, etc. on orthopedic organization names which may tell you when they met in Atlanta. Good luck! I honestly do not know what her relationship to the rest of the Reeves family may be, but I will share your email address with the family member I dealt with, and have that person get back to you. Good luck in your search!